For some collections, the collage mode may be more appropriate than the grid mode, and vice-versa. With Kagami, you can easily apply a default layout mode, and change it on a per-collection basis. 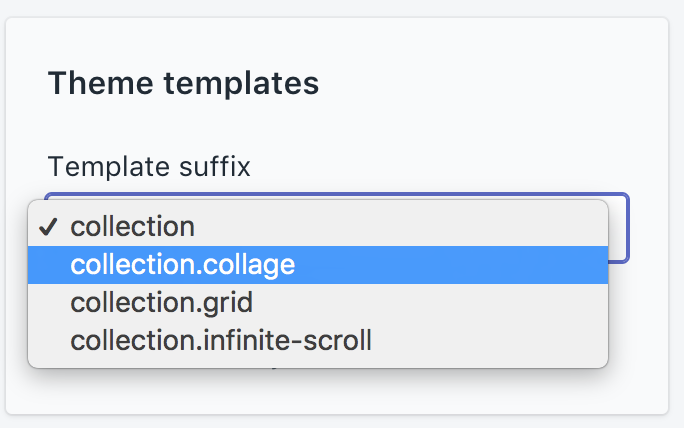 Do not choose the "collection.infinite-scroll" template. This one is used internally to power the infinite scrolling feature, but should never be selected directly.